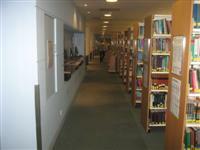 Services / facilities within the building include the Information Services Centre, lecture theatres, classrooms and staff offices. Related link Library opening hours. 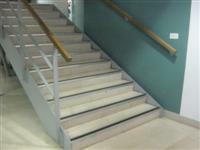 To view the DisabledGo access guide for GC/NHH L1 please click here (new tab). To view the DisabledGo access guide for GC/NHH L2 please click here (new tab). To view the DisabledGo access guide for GC/NHH G.12 please click here (new tab). To view the DisabledGo access guide for GC/NHH G.3 please click here (new tab). To view the DisabledGo access guide for GC/NHH G.4 please click here (new tab). To view the DisabledGo access guide for GC/NHH G.8 please click here (new tab). To view the DisabledGo access guide for GC/Library please click here (new tab). To view the DisabledGo access guide for GC/FirstAid/Parent Room please click here (new tab). 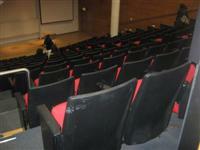 This venue is situated in the Guy's Campus. The nearest mainline station is London Bridge. The nearest underground station is London Bridge. 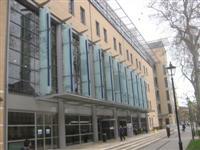 The car park is located outside Guy's Hospital. You are on Outside Access (Randall Entrance). Skip to the next section. This information is for the entrance located at the front right of the building, facing the Memorial Park garden area. The door opening is 95cm (3ft 1in) wide. There is a revolving door to the right of this door. These doors are to the right at the top of the ramp. There are further revolving doors to the left from the top of the ramp. You are on Level Change (Randall Entrance). Skip to the next section. 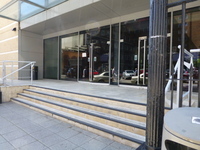 The ramp or slope is located at the front right of the building. The steps are located leading to the entrance. The ramp and stairs lead to a broad terrace which runs the full length of the building facing the park. There is a further ramp up to the terrace at the north end of the building from Great Maze Pond. 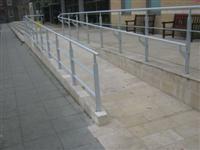 The ramp is moderate and has a handrail to the right. This information is for the entrance located at the rear of the building, on Great Maze Pond. The door opening is 204cm (6ft 8in) wide. You are on Level Change (Rear Entrance). Skip to the next section. 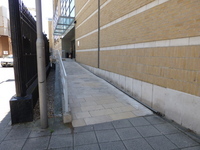 The ramp or slope is located leading to the entrance from the right. The desk is 6m (6yd 1ft) from the rear entrance. The nearest table is 40m (44yd) from the main entrance. 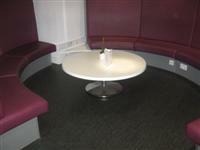 The distance between the floor and the lowest table is 43cm (1ft 5in). There are not designated spaces for wheelchair users. The hearing system is a portable loop. The rows suitable for hearing loops are all. A large text keyboard and height adjustable table is / are available. Other computer auxiliary aids include Read and Write, Inspiration, ABBYY FineReader and Dragon. Equipment available for people with a visual impairment includes Topaz video magnifier. 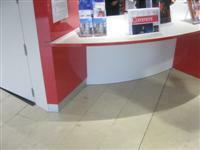 The Bouygues helpdesk number is 020 7848 3800. There are several adjustable desks on both floors of the library for PC users. There is a CCTV reader available. 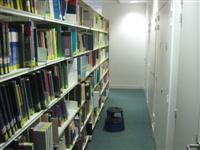 Please see the link in the introduction for library opening times and additional information. You are on Lift (Library Lift). Skip to the next section. The lift is located on the left of the library. 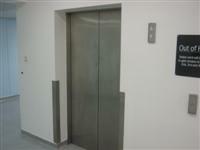 The floors which are accessible by this lift are 1-2. The lift is 40m (44yd) from main lift. The dimensions of the lift are 100cm x 130cm (3ft 3in x 4ft 3in). 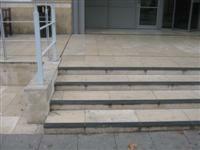 The floors which are accessible by stairs are B-G-1-2-3-4. You are on Lift (Main Lift). Skip to the next section. The lift is located on the right as you enter. The floors which are accessible by this lift are B-G-1-2-3-4. 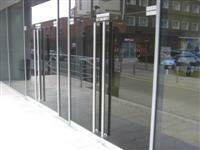 The lift is 5m (16ft 5in) from main entrance. The dimensions of the lift are 130cm x 175cm (4ft 3in x 5ft 9in). The accessible toilet is 15m (16yd) from the main entrance. 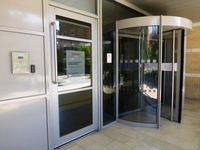 The accessible toilet is located opposite the main entrance. The towel dispenser is 145cm (4ft 9in) high. You are on Accessible Toilet (Cafe Area). Skip to the next section. There is Braille, tactile, and pictorial signage on or near the toilet door. The accessible toilet is 50m (54yd 2ft) from the main entrance. 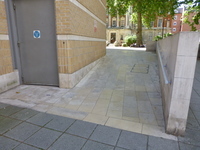 The accessible toilet is located within the cafe area, on the left of the building. 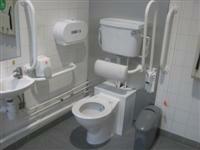 The dimensions of the accessible toilet are 205cm x 265cm (6ft 9in x 8ft 8in). The lateral transfer space is 135cm (4ft 5in). The towel dispenser is 142cm (4ft 8in) high. The sink is placed higher than 74cm (2ft 5in). The baby change facilities are located within the adapted toilet in the cafe area. The height of the baby change table once extended is 96cm (3ft 1in). The female and male toilets are located opposite the entrance. The female and male toilets are 16m (17yd) from the main entrance.